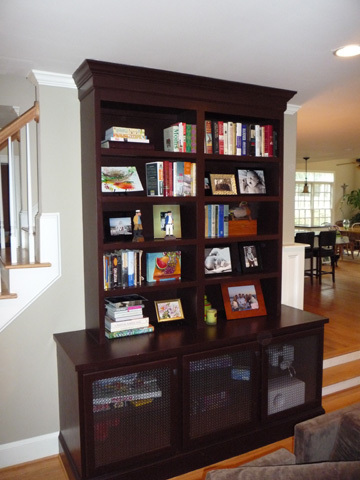 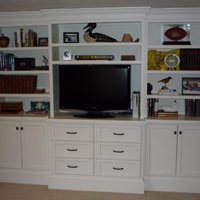 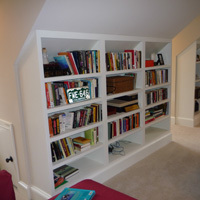 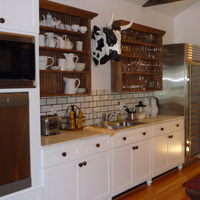 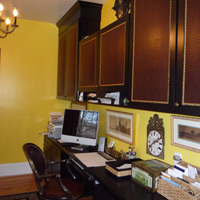 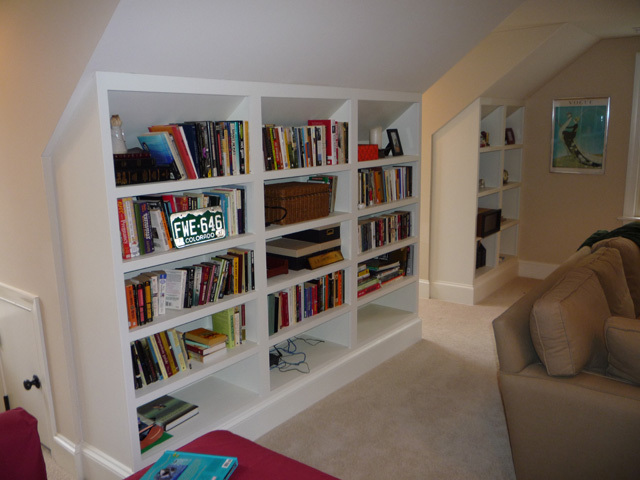 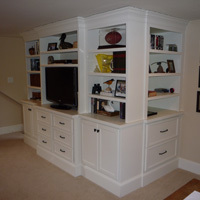 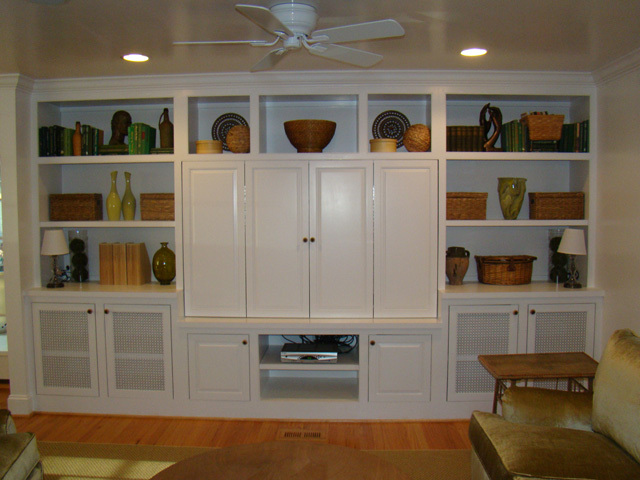 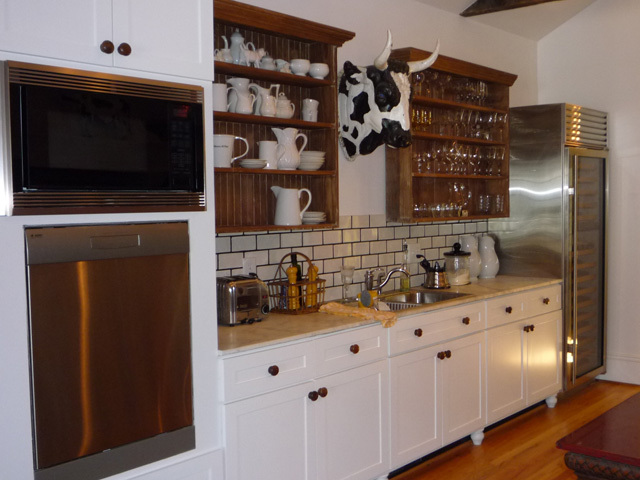 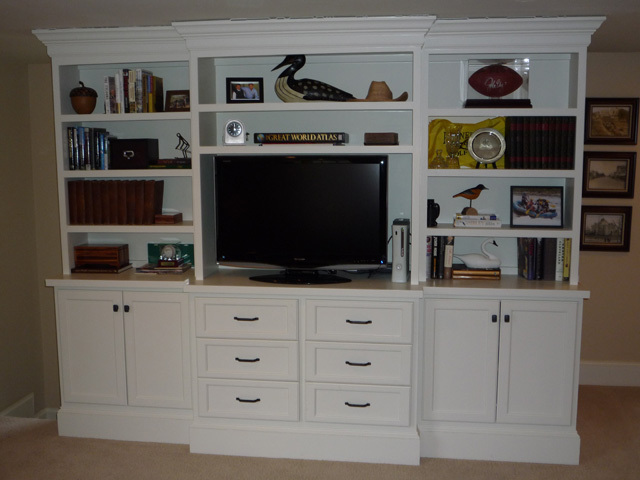 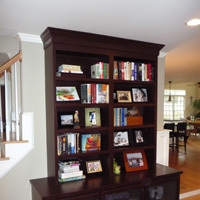 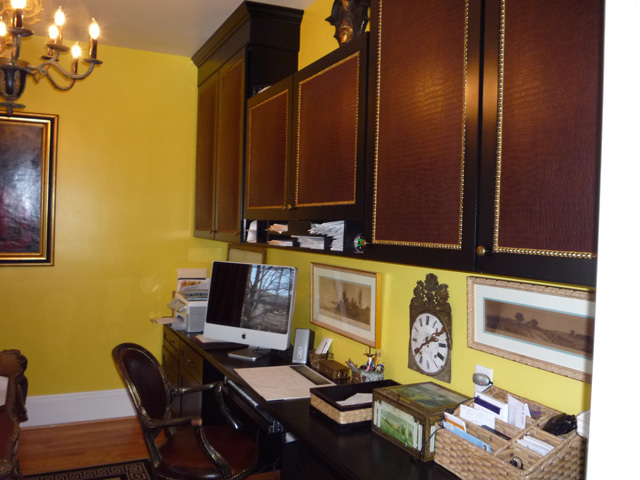 We created custom woodwork to add storage and a striking focal point to these rooms. 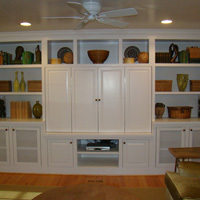 Our cabinetry is designed for each of our client's unique needs and style. 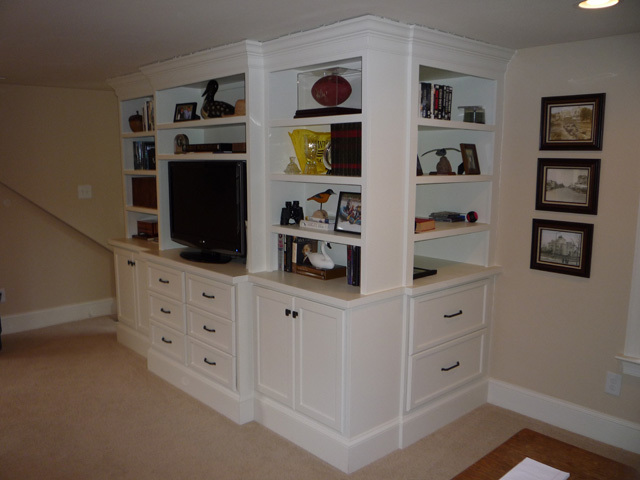 For example, the white entertainment center above conceals the stairwell, resulting in more functionality and living space in this bonus room.